Contributions have been a valuable way to leverage the funds held by the foundation. When you give to St. Joseph’s Community Health Foundation the real winner is the community as a whole. With each passing year the number of requests for grants expands. As the foundation sets goals for the future, we look to you for support. Gifts can be made at any time by using the donate button found on this page, stopping by the office and or mailing a check. Our community’s quality of life has a cost, but it is a price that can be attained with your help. Our success is your success! The Foundation uses the income generated from its endowment to provide grants to local tax-exempt charitable organizations. Community volunteers serve on the board and grant review committee. Gifts of any size are welcomed and the Foundation’s status as a public charity offers you the maximum tax benefits. 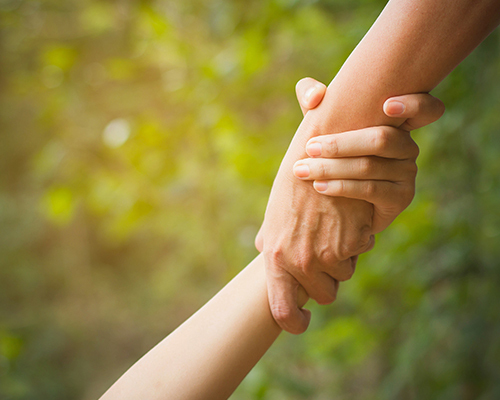 Endowment funds can be established by Donors to serve the needs of a cause they wish to help with. These funds are often established using a family name or the name of a loved one as a memorial or honorarium. $10,000.00 can establish a named fund at SJCHF. Foundation staff will be happy to discuss your specific interests with you. The assets are invested and managed by local banks and investment firms. Would you like to have a greater impact on the future of North Dakota and the community and realize significant tax savings? The North Dakota Tax Credit for Charitable Giving law makes it possible for individuals, businesses and financial institutions to make gifts to qualified nonprofit organizations, for qualified endowments and receive generous tax credits. This law provides for a 40% ND tax credit on qualified charitable contributions of $5,000 or more. Click here for printable tax advantages form. Any unused portion of the tax credit can be carried forward for up to three taxable years. There are provisions for various types of planned gifts including uni-trusts, annuities, paid up life insurance policies, appreciated assets and life estate agreements. The maximum tax credit is $10,000. For couples filing joint returns, the maximum is a $20,000 tax credit. In the above example that would be a $50,000.00 gift with a $20,000.00 ND State tax credit. This is an excellent opportunity to make a charitable gift that creates a legacy with the power to change lives. Now is a very good time to take advantage of this opportunity.